According Ahwazi Centre for Human Rights’ monitoring and observatory unit, an Ahwazi athlete has faced sport racial discrimination on Wednesday the 7th of March 2018. 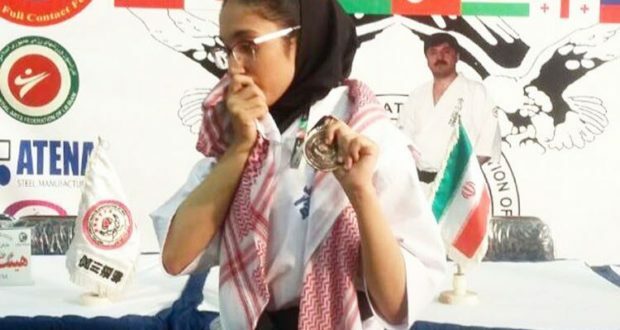 Ahwazi girl named as Nawal Abyat (also known as Ameneh Daei) son of Khalid, 16 years old, has participated in various New Full Contact karate matches across Iran and won multiple sport medals in which her last medal was after participating in “8th international championships 2017” that was held in Tehran and she has won Bronze medal after defeating her challenger in the match. 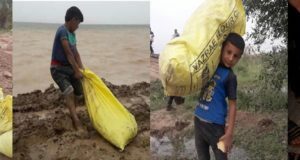 The New Full Contact Federation has conducted a survey to declare the sport person of the year in Khuzestan (one of the Al-Ahwaz provinces) and there were three nominates named as Nawal Abyat, Elahe Abutalebi and Hossein Tahmasebi, and during the survey, the federation has falsely accused Miss Abyat under the pretext of using robots in the role of winning as well as cheating in the comments, where Miss Abyat denying any cheating and point directly her finger to the federation in wiping out the Arab athlete from winning the sport person of the year. Miss Abyat during gaining the Bronze medal was wearing Arabic scarf and she kiss the scarf that roses anger of the federation authorities. According to reliable quoted to the centre that both the athletes Elahe Abutalebi and Hossein Tahmasebi are relative of incharge of Khuzestan New Full Contact organization and through friend they have deleted the presence of Miss Abyat from winning the year sport person in Khuzestan. The centre has contacted an Ahwazi kick boxer who has seek asylum to Sweden and asked him about racial discrimination against Ahwazi athletes that’s perpetrated by Iranian regime, Mr. Rasoul Kaab Omeir said “Almost all of the Ahwazi Athletes facing discrimination during sport match or training. 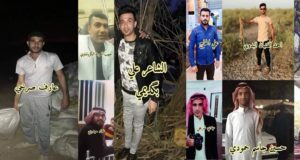 “Adnan Amiri is an Ahwazi famous kick boxer where due to severe poverty, he has write placards stating that he is ready to sell his kidney to save his mother life”, Mr. Kaab Omeir added. 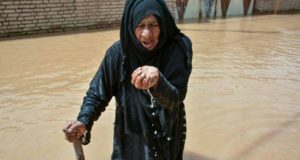 Ahwazi Centre for Human Rights has published report about discrimination about Ahwazi athletes and described three case of Ahwazi athletes that are living in disastrous conditions. To view the report please click HERE.